A single sales report gives you the sales history for a specific property. The sales and ownership details maintained by Landgate in the public register mean the information is available to everyone, whether they are the property owner or not. build year, wall and roof type eg brick/tile. estimate the current value of a single property. Find answers to your most common enquiries about a single sales report. What is a single sales report? Single sales reports contain all sales for a single property or all units within the nominated strata complex. As these reports can contain a large number of sales they are priced according to the number of sales reported. A 'calculate price' facility is provided on the initial search screen so that you can work out the cost of your report before proceeding to the payment screen. 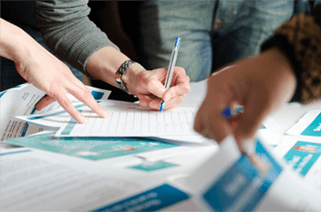 Are all sales included in sales evidence reports? Often the reason a sale is not available through our sales reports is because it is flagged as Valuer Adjudicated. These are sales that have been identified by the Office of State Revenue and flagged as ‘Valuer adjudicated’. This flag prevents the sale and associated data from being released through our sales reports. The flag is set when the Office of State Revenue send the Stamp Duty to Landgate (Valuations and Property Analytics Branch) for assessment of the consideration. Even though the Valuer may not change the Dutiable Value they may still set the indicator to 'Valuer Adjudicated' as a result of extraneous circumstances or conditions related to the sale. Can I obtain a report for a property I do not own? Can I get a report for property outside of Western Australia? How far back in time can I go to get sales history? Landgate holds property sales information from 1988 onwards. What does a double asterisk ** alongside the sale price mean? A ** noted alongside the sale price on the report indicates that the sales price is a combination of multiple properties purchased by the same transaction. Landgate is unable to report the individual amount that was paid for each property within a multiple property sale. How up to date is the sales information? 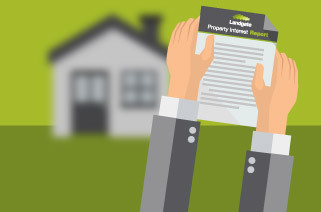 If a property has sold recently, or is subject to dealing, it may take up to 6 weeks for the registered sales and ownership information to be updated online. What does it mean when a property is subject to dealing? This is to advise that something is in the process of being lodged or happening with a title for a particular property. It may take up to 6 weeks for the registered ownership information to be updated online from the time of document lodgement. You may need to order another report at a later date to see the registered details of the dealing. Please note: Where available pending sale information is provided in single sales reports. Pending sales are sales that have not yet been recorded as registered sales at Landgate. Pending sales information is released from the week that settlement is due to occur. It can take up to 6 weeks from the date of settlement for a sale to appear as a registered sale. Registered sales are sales that are have settled and been registered at Landgate to effect an official change in property ownership. Can I subscribe to receive reports on a regular basis? To subscribe to receive single sales reports on a regular basis, you must be a MyLandgate Account Customer. What is tenure information and who can order it? Sales reports containing tenure information can only be ordered by MyLandgate Account Customers. seller name/s (maximum of two names supplied).